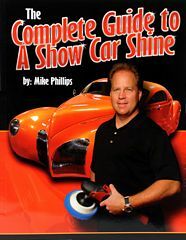 Have you ever wished you could go to one of the 3-day classes at Autogeek with Mike Phillips? If you've ever wanted to go to Autogeek in Stuart, Florida to attend one of Mike Phillips's 3-Day Competition Ready Detailing Class but the airline, hotel and rental car costs plus the cost of the class was out of your budget, then there's good news! Autogeek and Mike Phillips are coming to you! The first day Mike teaches you how to take a diamond in the rough and turn it into a glistening gemstone. The first day covers multiple tools, pads and products on multiple cars. The second day of class Mike covers how to do high quality production detailing. There's a specific reason production detailing is taught AFTER show car detailing and you'll learn why in the class. Production detailing is the bread and butter of the detailing business because there is a larger population of people that want their daily driver washed and waxed as compared to the number of people that want a show car finish on a special toy. You'll learn how to do both styles in Mike's class and you'll learn how to reduce steps and time while maintaining pro grade results. You save all the airline travel costs, hotel costs, rental car costs and food and entertainment costs associated with traveling to Autogeek to take the 3-day class. All tools, pads, towels and products are provided. Coffee and donuts are provided in the morning and pizza and cold drinks for lunch. 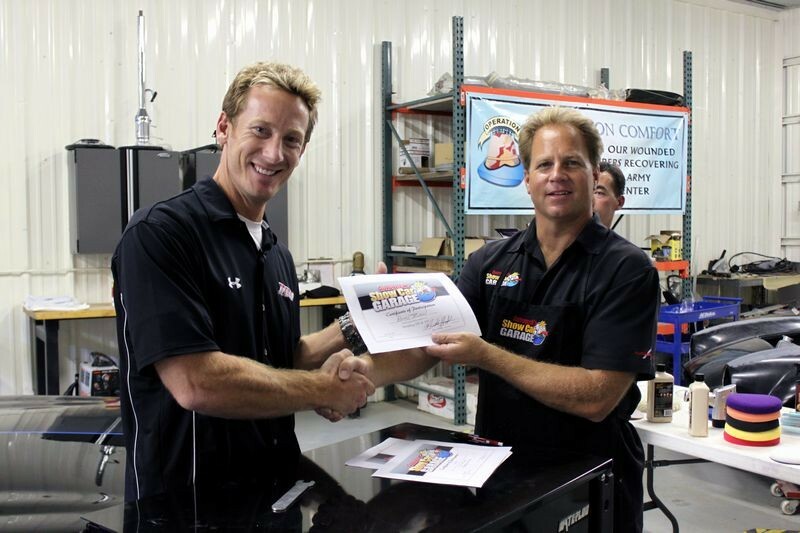 Each student that completes the entire 2-day class is awarded the Competition Ready Detailing Certificate. Alumni students have first right of refusal to be on Competition Ready TV. You are welcome and encouraged to take all the pictures you like. We ask that you do not take videos without prior permission. Autogeek is the worlds largest online supplier of car detailing supplies. If it's in your garage it's I our store. Autogeek is a proud founding sponsor of the International Detailing Association or IDA. 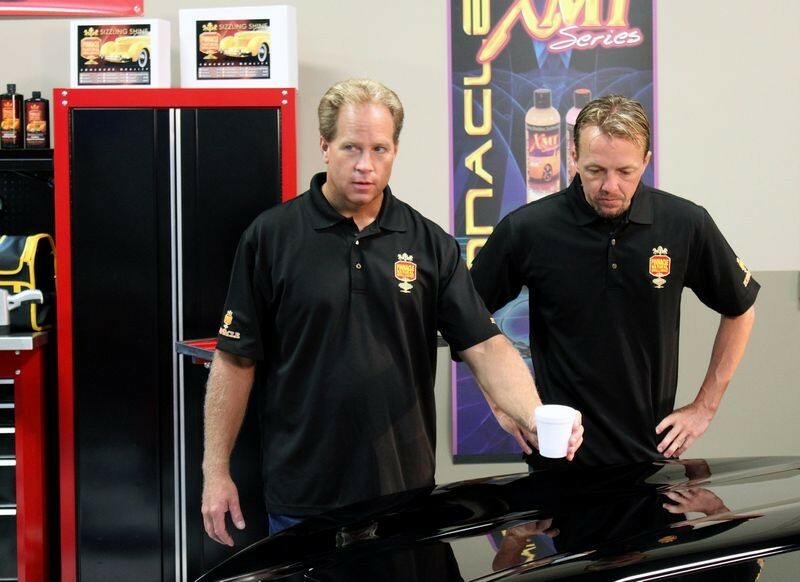 Autogeek is committed to raising the stature of detailers and the detailing industry. Not only is Autogeek the largest online detailing supplier both in the U.S. and world wide Autogeek is also committed to providing education to enable both enthusiast and professionals alike to increase their knowledge level and skill level. Autogeek's trained and friendly staff are available 6 days a week by phone, e-mail, Facebook and via their care detailing discussion forum to answer your questions and help see you through to success no matter what you project or your detailing background. Autogeek is located in Stuart, Florida and our training center is air conditioned with both a classroom section and a working section for the students to work on cars. 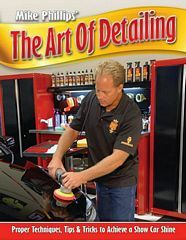 I have been teaching classes on car detailing since 1987, that's 31 years. The picture below was taken in 1987 after I taught my first detailing class using student cars as well as my Sanger Flat Bottom Drag Boat as demo panel for machine compounding and machine polishing techniques. 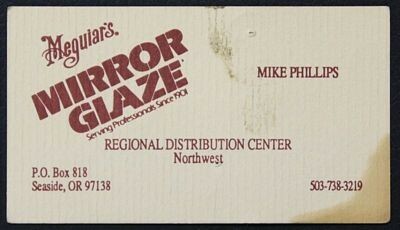 At this time he was a Trainer for Meguiar's for Oregon, Washington and Idaho where his primary job was to call on body shops, detail shops and dealerships and teach their staff how to use Meguiar's Professional Line. 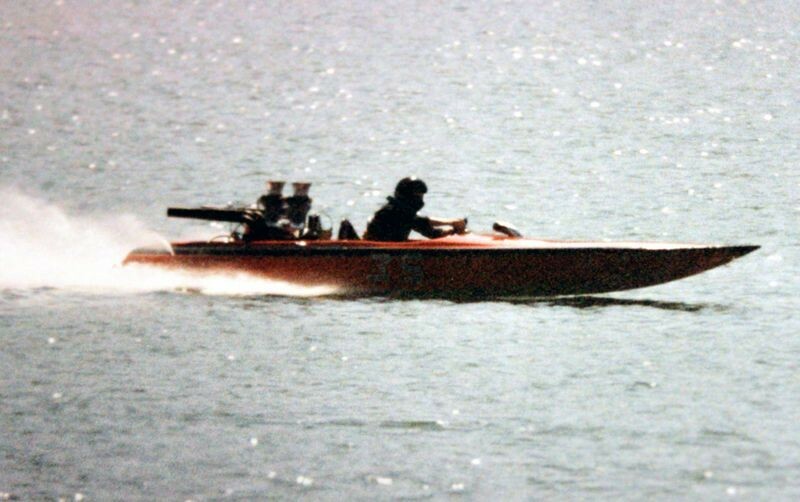 In 1986, at the age of 26 I was in a boating accident involving my own Sanger Drag Boat. I never let this slow me down or hinder me from my passion for polishing paint and teaching others the art craft of detailing cars and the art of polishing paint. To date I have five how-to books in print, iBook and ebook forms. 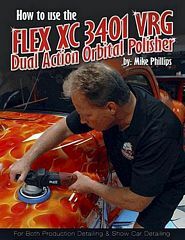 I'm the only detailer and detailing instructor with how-to books written for both FLEX tools and RUPES tools with all work and photography performed by me personally. I've been the host for two of Autogeek's TV Shows including Competition Ready on Velocity channel with my beautiful co-host Adrienne "AJ" Janic. 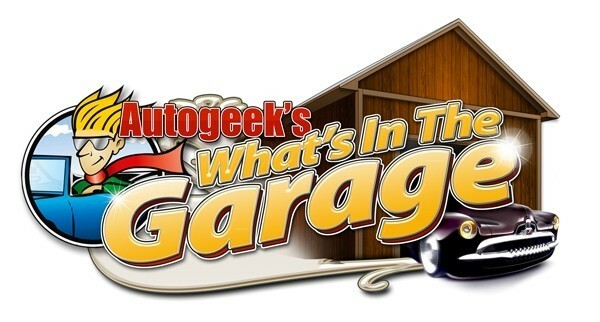 Two Guys Garage with Kevin Byrd and Willie B.
I have approximately 1000 unique articles on all facets of car and marine detailing on AutogeekOnline.net Every topic is covered in full detail with step-by-step easy to follow directions and full resolution color pictures showing, before, during and after. I'm a speed typist by accident and to prevent carpel tunnel I use arm holders while typing. In 2002, I was hired by Barry Meguiar to be the Corporate Writer for Meguiar's. I took over all the writing responsibilities for the company that Barry Meguiar' normally did himself. In 2004 I transitioned from the Corporate Write position to Meguiar's Internet Technical Specialist where I brought up the MeguiarsOnline.com car detailing discussion forum and answered questions on Meguiar's products as took on the responsibility of Primary Instructor for their car detailing classes. On July 31st, 2002, I organized a detailing class at Meguiar's Corporate Office for the members of an online Mercedes-Benz club through a Mercedes-Benz discussion forum. What I didn't know was that there were not only Mercedes-Benz club members at the class but there were also members from other car clubs at this first class, which was organized through a discussion forum. I took pictures and documented the class and shared them on the Mercedes-Benz forum because at the time, Meguiar's didn't have a discussion forum. When can our club have a class? That snowballed to become so popular that these Saturday classes continues to this day. 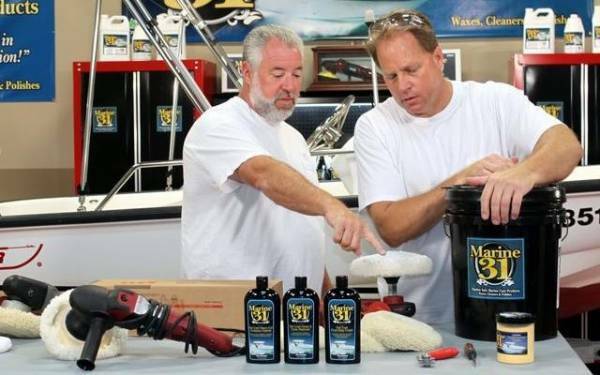 Management at Meguiar's came to me and told me they loved the passion I was creating for the Meguiar's brand by teaching classes and sharing the pictures and the passion online. Not knowing how to classify what I was doing they asked me to write my own job description which I did and this included, being the online voice for Meguiar's as well as being the Primary Instructor for the Saturday Detailing 101 classes and the Saturday Advanced Classes. Down the road a few years I started the Thursday Night Classes known as TNOGS, and then the Meguiar's Roadshow Classes. 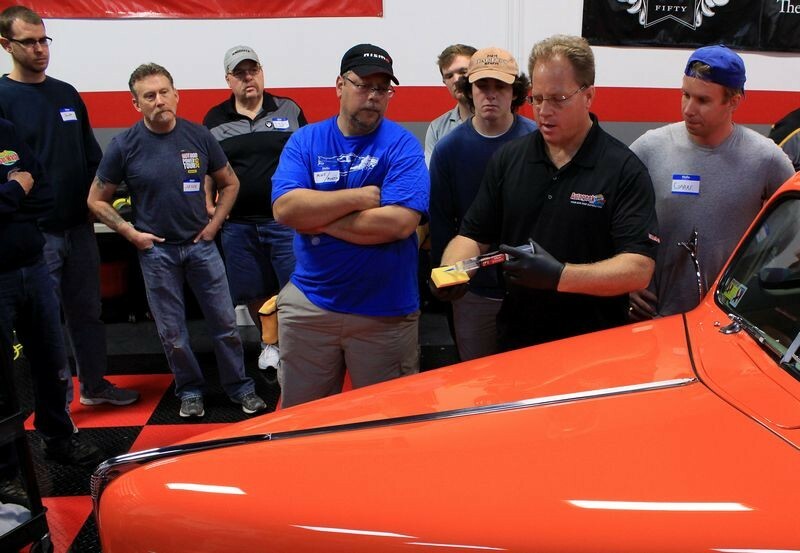 Many people that attended the Detailing 101 classes wanted to take their skill and knowledge to a higher level and this led to the advanced class where the topics of hand wet sanding, machine sanding and using rotary buffers were taught. Back in 2002 I started advocating to Meguiar's management to bring up their own forum. Because at that time, Meguiar's have a car detailing discussion forum and it would be years down the road before Facebook and other social media platforms like Twitter, SnapChat and Instagram would be introduced. 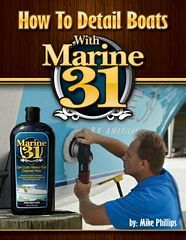 I love these write-ups showing people how to use Meguiar's products but how come you're always posting them to your own forum? That's when I explained to Atticus that I had to post them to my own forum (and the Autopia forum) because Meguiar's didn't have a forum. That's when it final sunk it. That's when Atticus put two and two together and understood what I had been talking about for almost 2 years when I kept was asking Meguiar's to bring up their own discussion forum. On January 24th, 2004 the MeguiarsOnline.com car detailing discussion forum went LIVE and the first post was a write-up I created by documenting a Saturday Detailing 101 Class I taught for a local Mini Cooper Club. That's also when I first met Richard Lin and together they detailed Richard's popular Mini Cooper Lil'Octane replacing Zaino with Meguiar's NXT. 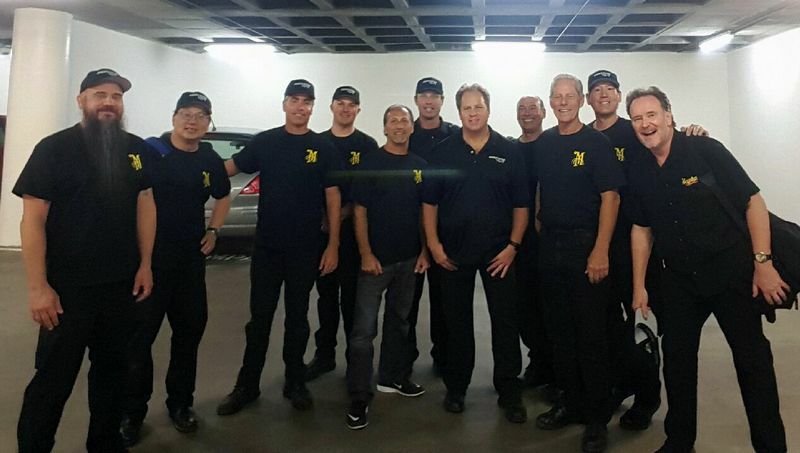 Mike also started the Thursday Night Open Garage Classes in 2006 and taught them until leaving Meguiar's to join Autogeek in 2009. Most people don't know but Mike originally started these on Wednesday nights but due to schedule conflicts moved them to Thursday nights. These also continue to this day. 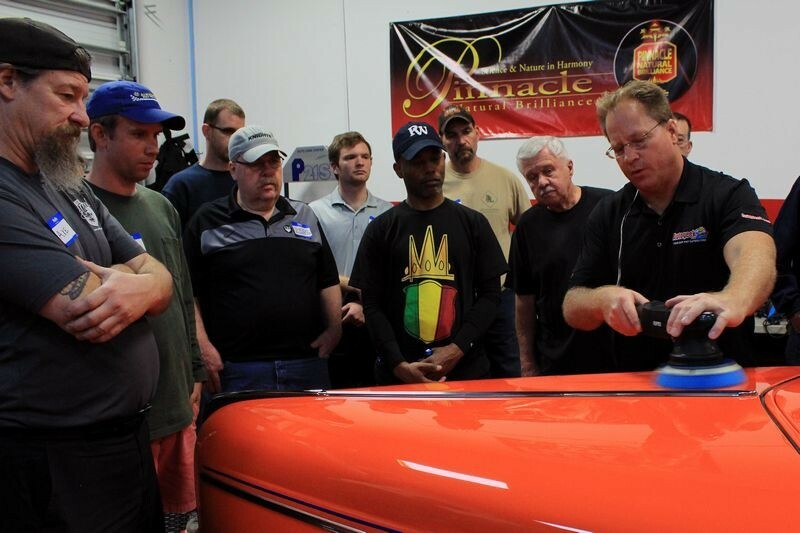 The Meguiar's Saturday classes became incredibly popular and because Mike would take pictures and document the cars, the clubs, the fun and the passion online, people in other states asked if they could have a class in their hometown. With management's approval Mike started the Meguiar's Roadshow Classes conducting a total of 6 of these classes before leaving to work for Autogeek. This was another first in the industry. The below pictures are from the 2006 Tampa, Florida Roadshow Class of which Todd Helme (RUPES) and Duayne McPeeks, (Poorboys). Today I'm the Director of Training for Autogeek and Marine 31. I teach the 3-day Competition Ready Detailing Classes three times a year at Autogeek's Training Center in Stuart, Florida. 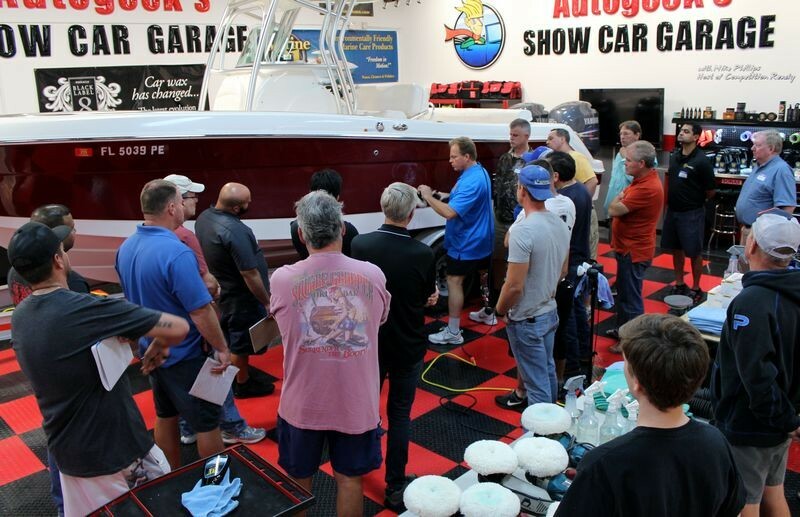 I also teaches one of the only hands-on boat detailing classes in the United States where students learn all aspects of boat detailing both inside and outside. is the 2017 schedule out yet? No, we're not that far along yet. This is just the first step. I get a lot of requests for classes and so this is the first step. Next I'll list what is needed for a shop or location. A pro grade class like this requires some resources that most people never think about, one of those resources being ample power at the location to run the polishers. If you look at any of the pictures from our classes here at Autogeek's Show Car Garage you'll see lots of polishers all being used and all running at the same time. That's because this is a purpose-built shop. Everyone wants a hands-on class including me. Classes where all the students sit in chairs while the instructor talks and talks and talks are boring and in my opinion, it's not a very good learning experience. I've worked hard all these years to fine-tune my classes and the last thing they are is boring and the first thing they are is fun, exciting and most of all... hands-on. I want this. When are you coming to a Texas? Excellent class and great idea. I was able to attend the 3 day class last October held in the garage at turn one of the Indianapolis Motor Speedway. This was a modified version of the normal classes and was sponsored by Autogeek, Sonax and Flex. Mike I snot kidding about the power needs. More polishers then you can shake a stick at and cords to go with them. Sonax and Flex were both hands on helping us and providing products. Dimi, from Sonax, was a great addition to Mike's knowledge, and really many of the other attendees were much more knowledgeable then I was, so I was just soaking it up. Great class and a very cool location and made me know that I really want to get into the three day course in Florida as soon as I can. 1: Lead time – Need a minimum of 3 months to announce, promote and fill classes. 2: Electrical Power - Location needs ample electric power. With up to 20 people in a class, we will need to be able to plug in 20 polishers. That’s a lot of outlets. 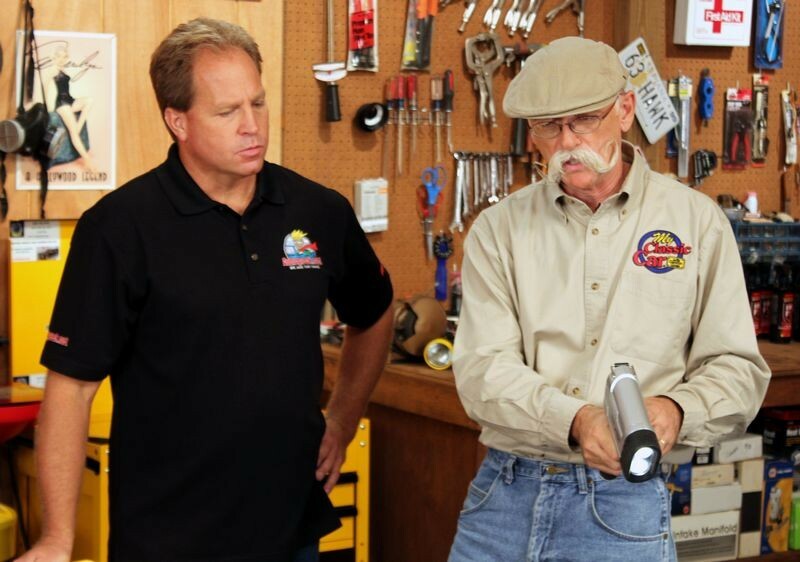 We can use the Buddy System and run one polisher per two people for locations with limited power supply in the garage. 3: Parking – Location must have ample parking for students. 4: Bathrooms – Location must have bathroom facilities for students. 5: Location size - The shop, warehouse, car wash, etc. needs to be large enough to hold 20 people in an area with chairs. (tables are optional). The location also needs to be large enough to hold 2 full size passenger cars with room for students to walk and work around at the same time. 6: Lighting - Location needs good lighting. I have probably taught more roadshow classes than at least anyone I know so I know what it takes to hold a REAL hands-on class, not a seminar where people sit in chairs and at some point watch the instructor do a demonstration. I've done seminars in my life too as sometimes that's all you can do but that is not what we are about. We are about hands-on training and hands-on fun. WE also know that most people simply are not able to travel to Autogeek here in sunny, Stuart, Florida to take our BIG class where you get to work on cool cars. For those that can, the classes are the same time every year. Students save all the airline travel costs, hotel costs, rental car costs and food and entertainment costs associated with attending the 3-day class at Autogeek. Alumni students have first right of refusal to be on Competition Ready TV show. 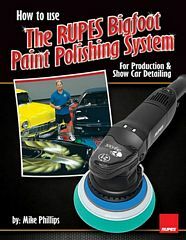 Primary tools featured are FLEX, RUPES and Griot's with some others of course. Rick McDonough, Andy Wong, Derek Bemis, Nick Winn, David Sylican, Mike Pennington, Mike Phillips, Paul Cartagena, Ed Terwilliger, Richard Lin and Mike Stoops. So if you're reading this and you want to attend one of these classes REPLY to this thread and as we lock in locations and dates I'll be able to notify you. I figure I'll retire in about 9-10 years so if you want to attend a class I teach personally then step up to the plate and get serious. It was very much HANDS ON. Thanks for sharing the above and I'm glad you had a good time. I have not gotten to all the pictures taken at that class but I WILL. It's just been so busy since that class with our TV show and other classes including our boat detailing class that it can get difficult to process all the pictures. Going through hundreds of pictures to create a quality write-up that documents the class is time consuming but I actually like doing it because it preserves the event forever and the reality is... I'm the only guy that's an "instructor" in our industry that both teaches classes, takes pictures and the creates these types of write-ups so others can see what they get to do when they take a class taught by your truly. I do this for Autogeek and I did this for Meguiar's and I'm happy to say that to this day every thread I've created that documents a class is still around. Pictures from Thursday night detailing classes! The pictures tell a story and they earn people's trust with their time and money and for this reason I don't ever let anyone down. I would love to know what costs are involved and what would be needed to host a class at the dealership I am at up here in Maine. We definitely have the space and facilities required. I will need as much information as possible so i can present it to the owners. We also have a vintage Porsche collection with some cars that could use your knowledge and expertise! I would love to know what costs are involved and what would be needed to host a class at the dealership I am at up here in Maine. We definitely have the space and facilities required. I will need as much information as possible so i can present it to the owners. Thanks for asking this questions as we hope to work with dealerships, detail shops and car washes. Heck anyone with a large enough facility, this would include car owners with their own shops and like we did at the Indianapolis Race Track, right there on the track at curve #1 in the race car shops. There are no costs to the hosting company or people. And in fact, 2 staff can attend the class at no charge in exchange for the use of the facility, that's a savings of $2000.00 plus all the other expense a company or a person would spend to travel to our shop for one of my classes. We also have a vintage Porsche collection with some cars that could use your knowledge and expertise! These classes are the most popular with car enthusiasts that want to learn how to do their own work and also know that correctly detailing a car starts with the brain not the buffer. And of course, for all classes I'm always looking for training cars.